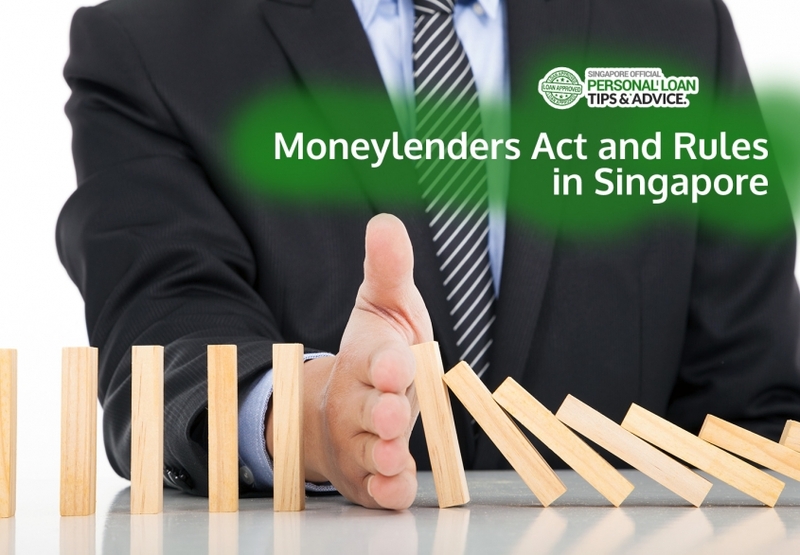 The recent rise of unlicensed moneylenders (also known as loan sharks) has quite an alarming concern to the government as well as our fellow Singaporeans, PRs and foreigners working here in Singapore. We therefore think it is good to cover the Moneylenders Act and Moneylenders Rules so that everyone is aware of what it is. Apply for a loan and receive fast cash in 30 mins* and interest rate as low as 1.20% per annum. Are you a 1st time borrower, or borrowed quite some time ago? If yes, please click here to know more about the lowered interest rate that licensed moneylenders can charge today. * Terms and conditions apply. Contact the licensed money lenders here for more details. All information below are extracted from Singapore Statutes Online (“SSO“), a free service provided to the public by the Legislation Division of the Attorney-General’s Chambers. 1.—(1) This Act may be cited as the Moneylenders Act. (2) Section 5(3)(b) shall come into operation on such date as the Minister may, by notification in the Gazette, appoint. who is not a licensee or an exempt moneylender. 3. Any person, other than an excluded moneylender, who lends a sum of money in consideration of a larger sum being repaid shall be presumed, until the contrary is proved, to be a moneylender. 4. The Minister may appoint any public officer to be the Registrar of Moneylenders and such number of public officers as he thinks fit to be Deputy Registrars of Moneylenders and Assistant Registrars of Moneylenders under this Act. No moneylending except under licence, etc. he is an exempt moneylender. (1A) For the purposes of subsection (1), a person who wholly or partly carries on, from a place outside Singapore, the business of moneylending in Singapore shall be taken to have carried on that business in Singapore. (2) The Minister may prescribe different classes or descriptions of licences for the purposes of this Act. accompanied by the payment of a non-refundable application fee of a prescribed amount, which shall be paid in such manner as may be specified by the Registrar. 1 Section 5(3)(b) came into operation on 1st July 2010vide G.N. No. S 303/2010. (4) The Registrar may issue a licence with or without conditions, or he may refuse to issue a licence. where the applicant does not place with the Accountant-General as security for the proper conduct of his business of moneylending in Singapore, in such form as the Registrar may determine, a deposit of $20,000 for each place of business in respect of which he is to be licensed. (6) Every licence shall come into operation on the date specified therein, and shall be valid for a period of 12 months or such other prescribed period as may be specified in the licence. (7) The Registrar may at any time, by notice in writing to the licensee, vary or revoke any of the existing conditions of the licence or impose new conditions. (8) Where a licence is issued to a firm, every partner of the firm actively conducting the business of moneylending of that firm in Singapore shall be subject to this Act as if he holds the licence. 6.—(1) An application for the renewal of a licence shall be made not later than one month before the expiry of the licence, in such form and manner as may be determined by the Registrar. (2) For the purpose of subsection (1), every licensee must notify the Registrar at least one month before the expiry of his licence if he does not wish to renew his licence. (3) The Registrar may renew a licence with or without conditions, or he may refuse to renew a licence. where the licensee does not place or maintain with the Accountant-General as security for the proper conduct of his business of moneylending in Singapore, in such form as the Registrar may determine, a deposit of $20,000 for each place of business in respect of which his licence is to be renewed. (5) Upon the renewal of a licence, the licence shall continue to be valid for a further period of 12 months or such other prescribed period as may be specified in the licence from the date immediately following that on which, but for its renewal, the licence would have expired. Other grounds for refusing to issue or renew licence, etc. if the Registrar is not satisfied that the applicant, any director, partner or substantial shareholder of the applicant, or any person who is or will be responsible for the management of the applicant’s business of moneylending is a fit and proper person to carry on or manage a business of moneylending. the principal, or any present or former agent of the principal, has been disqualified by an order of a court from carrying on a business of moneylending or holding a licence to carry on such business. (3) Any person who is aggrieved by the refusal of the Registrar to issue or renew a licence may, within 14 days of being so informed, appeal in writing to the Minister whose decision shall be final. 8.—(1) Every licensee shall pay such licence fee as may be prescribed for the issue or renewal of the licence by the Registrar. (2) The Minister may prescribe different licence fees in respect of different classes or descriptions of licences. (3) Where a licensee has more than one place of business, the licensee shall pay such additional licence fee as may be prescribed for each additional place of business according to the class or description of licence which the licensee holds. (4) The licence fees shall be paid in such manner as may be specified by the Registrar. (5) Subject to subsection (6), there shall be no refund of any licence fee paid to the Registrar in the event that a licence is revoked or suspended or when the licensee ceases to carry on the business of moneylending at any time before the expiry of the licence. (6) The Registrar may, where he considers it appropriate, refund or remit the whole or part of any licence fee paid or payable under this Act. that there exists a ground on which the Registrar may refuse to issue or renew a licence under section 7, whether in relation to the licensee or his principal. (2) The Registrar shall, before revoking or suspending any licence under subsection (1), give the licensee notice in writing of his intention to do so, specifying a date, not less than 21 days after the date of the notice, upon which the revocation or suspension shall take effect unless the licensee shows cause to the Registrar as to why the licence should not be revoked or suspended. (3) Where, after the licensee has shown cause under subsection (2), the Registrar decides to revoke or suspend a licence, he shall notify the licensee of his decision in writing and specify a date, not less than 14 days after the date of the notice, upon which the revocation or suspension shall take effect. (4) The licensee may, within 14 days after the date of the notice under subsection (3), appeal in writing against the revocation or suspension to the Minister whose decision shall be final. (5) If the licensee appeals to the Minister under subsection (4), the decision appealed against shall not take effect unless it is confirmed by the Minister, or the appeal is for any reason dismissed by the Minister or is withdrawn. (6) Any decision of the Registrar to revoke or suspend a licence made under this section shall not affect any moneylending transaction entered into before the date the decision is made. 10.—(1) An applicant for the issue of a licence or a licensee who intends to carry on the business of moneylending at any new place or places of business shall, before commencing the business of moneylending at such place or places, apply in writing to the Registrar to approve such place or places of business for moneylending. (2) The Registrar may approve any place of business for moneylending with or without conditions, or he may refuse to grant his approval. where the Registrar is not satisfied that the place of business is suitable for a business of moneylending, or the Registrar is of the view that it is not in the public interest for a business of moneylending to be conducted in such a place. (4) The Registrar may at any time, by notice in writing to the licensee, vary or revoke any of the existing conditions of his approval of a place of business for moneylending or impose new conditions. (5) Where the approval of the Registrar under this section is granted to a firm, the approval shall be deemed to be granted to every partner of the firm actively conducting the business of moneylending of that firm in Singapore. that there exists a ground on which the Registrar may refuse to approve the place of business for moneylending under subsection (3). (7) The Registrar shall, before revoking or suspending his approval under subsection (6), give the licensee notice in writing of his intention to do so, specifying a date, not less than 21 days after the date of the notice, upon which the revocation or suspension shall take effect unless the licensee shows cause to the Registrar as to why the approval should not be revoked or suspended. (8) If, after the licensee has shown cause under subsection (7), the Registrar decides to proceed to revoke or suspend his approval, he shall notify the licensee of his decision in writing and specify a date, not less than 14 days after the date of the notice, upon which the revocation or suspension shall take effect. (9) The licensee may, within 14 days after the date of the notice under subsection (8), appeal in writing against the revocation or suspension to the Minister whose decision shall be final. (10) If the licensee appeals to the Minister under subsection (9), the decision appealed against shall not take effect unless it is confirmed by the Minister, or the appeal is for any reason dismissed by the Minister or is withdrawn. (11) Any decision of the Registrar to revoke or suspend his approval under this section shall not affect any moneylending transaction entered into before the date the decision is made. shall terminate as at the date of the expiry or revocation of the relevant licence. shall be guilty of an offence and shall be liable on conviction to a fine not exceeding $20,000. (14) Any licensee who contravenes any condition of approval imposed under this section shall be guilty of an offence and shall be liable on conviction to a fine not exceeding $20,000. 11.—(1) The Registrar may, without prejudice to the exercise of any other power under this Act, forfeit the whole or such part of any security deposit placed with the Accountant-General under section 5(5)(c), 6(4)(c) or 10(3)(c) as the Registrar thinks fit if he is satisfied that there exists a ground for the revocation or suspension of the licence under section 9(1). (2) The Registrar shall, before forfeiting the security deposit or such part thereof under subsection (1), give the licensee notice in writing of his intention to do so specifying a date, not less than 14 days after the date of the notice, upon which the forfeiture shall be made unless the licensee shows cause to the Registrar as to why the security deposit or such part thereof should not be forfeited. (3) Where, after the licensee has shown cause under subsection (2), the Registrar decides to forfeit the security deposit or any part thereof, he shall notify the licensee of his decision in writing and specify a date, not less than 14 days after the date of the notice, upon which the security deposit or such part thereof shall be forfeited. (4) The licensee may, within 14 days after the date of the notice under subsection (3), appeal in writing against the forfeiture of his security deposit or such part thereof to the Minister whose decision shall be final. (5) If the licensee appeals to the Minister under subsection (4), the Registrar shall not forfeit the security deposit or such part thereof unless his decision to do so is confirmed by the Minister, or the appeal is for any reason dismissed by the Minister or is withdrawn. (6) Where the licensee lawfully continues to carry on the business of moneylending under this Act after his security deposit or any part thereof has been forfeited, he shall restore his security deposit to the full amount as required under this Act by placing with the Accountant-General an appropriate amount in such form and within such time as the Registrar may require. any substantial shareholder of the licensee increases or reduces his substantial shareholding in the licensee. (2) Every licensee shall notify the Registrar, in writing, when any person ceases to be a director, partner or substantial shareholder of the licensee, or ceases to be responsible for the management of the business of moneylending of the licensee, not later than 14 days after the cessation. (3) Every licensee shall notify the Registrar, in writing, of the making of a bankruptcy order against the licensee, or any director, partner or substantial shareholder of the licensee, not later than 14 days after the bankruptcy order is made. (4) No person shall become a substantial shareholder of a licensee without first obtaining the approval of the Registrar. (5) Where any person becomes a substantial shareholder of a licensee in contravention of subsection (4), that person shall take such steps as are necessary to cease to be a substantial shareholder of the licensee within such time as the Registrar may require. (6) Any person who, without reasonable excuse, contravenes subsection (1), (2), (3), (4) or (5) shall be guilty of an offence and shall be liable on conviction to a fine not exceeding $10,000. a list of such persons granted an exemption by the Minister under section 35, and such of their particulars and the conditions of their exemption, as the Registrar may determine. in the case of a second or subsequent offence, shall on conviction be punished with a fine of not less than $30,000 and not more than $300,000 and with imprisonment for a term not exceeding 7 years. a person who is convicted of a second or subsequent offence under subsection (1) shall also be liable to be punished with caning with not more than 12 strokes. any money paid by or on behalf of the unlicensed moneylender under the contract for the loan shall not be recoverable in any court of law. carries on the business of moneylending in Singapore through an agent who is a licensee or an exempt moneylender. he provides or gives access to the name of or other information relating to any other person (referred to as a potential borrower), or otherwise refers a potential borrower, to a person whom he knows or has reasonable grounds to believe is carrying on a business in contravention of section 5(1), intending to facilitate or knowing it to be likely to facilitate the lending of money by such person to the potential borrower. (3B) In subsection (3A), “funds” and “property” have the meanings given to those words in section 15A. (4) For the purposes of subsection (1), where the bank account or automated teller machine card of any person, or a telecommunication service subscribed in the name of or purchased by any person, is proved to the satisfaction of the court to have been used to facilitate the carrying on of the business of moneylending by an unlicensed moneylender, that person shall be presumed, until the contrary is proved, to have assisted in the contravention of section 5(1). (5) In this section, unless the context otherwise requires, “telecommunication service” has the same meaning as in the Telecommunications Act (Cap. 323). shall be guilty of an offence and shall be liable on conviction to a fine not exceeding $40,000 or to imprisonment for a term not exceeding 12 months or to both. “property” means property of every kind, whether tangible or intangible, movable or immovable, and whether situated within or outside Singapore, and includes funds. 15B.—(1) In this Part, property is proceeds of unlicensed moneylending if it is wholly or partly derived or realised, whether directly or indirectly, from a contravention of section 5(1). including by virtue of a previous application of this subsection. it is dealt with or disposed of. any account which has been credited with such property as an account with proceeds of unlicensed moneylending (referred to in this Part as specified account). (2) The Minister may vary or revoke the order at any time. (3) The Minister shall revoke the order if the person referred to in subsection (1)(a) is no longer detained and is not subject to the supervision of the police under an order made under section 32 of the Criminal Law (Temporary Provisions) Act. if he varies or revokes the order, take steps to publish the variation or revocation in the Gazette or bring the variation or revocation to the attention of the persons served with a copy of the order, as the case may be. (2) Where the Minister serves a copy of the order on certain persons under subsection (1), only those persons are subject to the prohibition in section 15E(1). (3) The High Court may, on the application of a person affected by the order, set aside the order in whole or in part. (4) An application under subsection (3) shall be made within 30 days from the date of publication or service of the order, as the case may be. (5) The order may be set aside in whole or in part by the High Court if, and only if, the applicant proves to the satisfaction of the Court that any specified property is not, or any specified account has not been credited with, proceeds of unlicensed moneylending. (6) The correctness, validity or legality of the order made under section 30 or 32 (as the case may be) of the Criminal Law (Temporary Provisions) Act (Cap. 67), or of any ground upon which such order is made, shall not be raised as an issue or called into question in the course of an application under subsection (3) or during any proceedings relating to such application. (7) A person who makes an application under subsection (3) shall serve a copy of the application on the Attorney-General not later than 7 days before the date fixed for the hearing of the application. (8) Rules of Court may provide for the manner in which proceedings relating to an application under subsection (3) may be commenced or carried on. 15E.—(1) A person shall not deal with any specified property, or any funds in any specified account, unless he does so under the authority of a licence granted under section 15H. in any other case, to a fine not exceeding $100,000 or to imprisonment for a term not exceeding 2 years or to both. (3) This section is subject to section 15D(2). 15F.—(1) A person is not guilty of an offence under section 15E if he credits a specified account with interest or other earnings due on the account. (2) For the avoidance of doubt, section 15E applies to any funds credited to the specified account in accordance with subsection (1). in any other case, to a fine not exceeding $150,000 or to imprisonment for a term not exceeding 3 years or to both. 15H.—(1) The Minister may grant a licence to exempt any act from the prohibition in section 15E. of indefinite duration or subject to an expiry date. (3) The Minister may vary or revoke a licence at any time. in the case of a general licence or a licence granted to a category of persons, take such steps as the Minister considers appropriate to publicise the grant of the licence, or the variation or revocation thereof. in any other case, to a fine not exceeding $50,000 or to imprisonment for a term not exceeding 2 years or to both. (6) The Minister may delegate any power or duty under this section to the Commissioner of Police, except the power of delegation conferred by this subsection. Regulation of advertising and marketing, etc. 16.—(1) No licensee shall knowingly or recklessly issue or publish, or cause to be issued or published, any advertising or marketing material in any form, or any business letter, circular or other document, which contains any information which is false or misleading in a material particular. states that the licensee offers loans at a specified percentage rate of interest without stating that conditions apply, or without stating the conditions which apply, when the rate of interest offered is subject to conditions. (3) Without prejudice to the generality of the power of the Registrar to issue directions under section 26(1), the Registrar may issue directions to any licensee with respect to the issue, publication or contents of advertising or marketing materials or the conduct of advertising or marketing activities. (4) Any licensee who contravenes subsection (1) shall be guilty of an offence and shall be liable on conviction to a fine not exceeding $20,000 or to imprisonment for a term not exceeding 6 months or to both. without the person having first applied to the licensee in writing for the loan. (2) Any licensee who contravenes subsection (1) shall be guilty of an offence and shall be liable on conviction to a fine not exceeding $20,000 or to imprisonment for a term not exceeding 6 months or to both. 18.—(1) Every licensee shall affix, in a conspicuous position at or in each of his places of business, a sign bearing his business name and the words “Licensed Moneylender” in the English language such as to be visible to any person immediately outside the place of business. (2) Any licensee who contravenes subsection (1) shall be guilty of an offence and shall be liable on conviction to a fine not exceeding $5,000. 19.—(1) Every licensee shall, before granting any loan to a borrower, inform the borrower in writing as to such matters relating to the terms and conditions of the loan as may be prescribed. (2) The licensee shall cause the written information provided to the borrower under subsection (1) to be signed by the borrower or his agent together with an acknowledgment in writing by the borrower or his agent, as the case may be, that he has been informed by the licensee of the terms and conditions of the loan. any guarantee or security given for the loan to recover any such sum. (4) For the purposes of subsection (3), if any amount of interest, late interest or permitted fees has been paid, it shall be recoverable as a debt due to the borrower or surety, as the case may be, and if not recovered, shall be set-off against the outstanding amount of the loan. (5) Any licensee who contravenes subsection (1) or (2) shall be guilty of an offence and shall be liable on conviction to a fine not exceeding $20,000 or to imprisonment for a term not exceeding 6 months or to both. a copy of the note of the contract for the loan, duly signed by the licensee or his agent, is delivered to the borrower and the surety (if any) or their respective agents before or at the time the loan is paid to the borrower or any other person on the direction of the borrower. in the case of a second or subsequent offence, to a fine not exceeding $40,000 or to imprisonment for a term not exceeding 12 months or to both. (3) This section shall not apply to any loan on revolving credit that may be drawn down and repaid by the borrower or his agent at any time and from time to time subject to a limit approved by the licensee. 21.—(1) Every licensee shall, at least once every half year ending on 30th June or 31st December and not later than 21 days after that date, supply to every borrower, so long as a contract for a loan granted by the licensee to the borrower is subsisting, a statement of account in the English language containing such particulars as may be prescribed. sent by pre-paid post to such address in Singapore, or by electronic communication to such email address, as specified by the borrower. a copy of any document relating to a contract for a loan granted, or any guarantee or security given for the loan, in relation to which the applicant is or was a borrower or surety. the amount paid and the date of the payment. attach such documents as may be prescribed to the licensee’s copy of the receipt. (6) The Minister may prescribe such other information to be provided, in such form or manner and within such time as may be prescribed, by a licensee to a borrower in relation to any payment made by or on behalf of the borrower to the licensee. (7) Any licensee who, without reasonable excuse, contravenes subsection (1), (2), (3), (4) or (5) shall be guilty of an offence and shall be liable on conviction to a fine not exceeding $20,000. (9) For the purposes of subsection (8), if any amount of interest, late interest or permitted fees has been paid, it shall be recoverable as a debt due to the borrower or surety, as the case may be, and if not recovered, shall be set-off against the outstanding amount of the loan. 22.—(1) The Minister may prescribe the types or amounts of costs, charges and expenses that a licensee may impose in respect of every loan granted by the licensee, including the fees or charges for or on account of legal costs. if not recovered, shall be set-off against the outstanding amount of the loan, and all sums of interest, late interest and permitted fees payable under the contract for the loan. 23.—(1) When proceedings are brought in any court by a licensee for the recovery of a loan or the enforcement of a contract for a loan or any guarantee or security given for a loan, and the court is satisfied that the interest or late interest charged in respect of the loan is excessive and that the transaction is unconscionable or substantially unfair, the court shall re-open the transaction and take an account between the licensee and the person sued. (2) In taking an account under subsection (1), the court may re-open any account already taken between the parties to the proceedings and relieve the person sued from payment of any sum in excess of the sum adjudged by the court to be fairly due in respect of such principal, interest and late interest as the court, having regard to the risk and all the facts and circumstances of the case (including facts and circumstances arising or coming to the knowledge of any party after the date of the transaction), may determine to be reasonable. if the licensee has disposed of the security, order the licensee to indemnify the borrower or other person sued for the loss of the security. that the licensee’s right of action for the recovery of the loan is barred. (5) Where a licensee has filed, in the bankruptcy of a borrower or surety, a proof of debt arising from a loan granted by him, the Official Assignee may exercise such powers as may be exercised by a court under this section when assessing whether the debt or liability is proved and its value. (6) Where in any proceedings in court referred to in subsection (1) or where proof of debt has been filed as referred to in subsection (5), it is found that the interest or late interest charged on any loan exceeds such maximum rate of interest or late interest as may be prescribed for the loan, the court or the Official Assignee, as the case may be, shall presume for the purposes of this section, unless the contrary is proved, that the interest or late interest charged in respect of the loan is excessive and that the transaction is unconscionable or substantially unfair. (7) Subsection (6) shall be without prejudice to the powers of a court under this section where the court is satisfied that the interest or late interest charged under the circumstances, although not exceeding such maximum rate of interest or late interest as may be prescribed for the loan, is excessive or that the transaction is unconscionable or substantially unfair. the Minister may prescribe different maximum rates of interest to apply to different classes or descriptions of borrowers or loans. the powers of the Official Assignee. such other documents as may be prescribed. (2) Notwithstanding subsection (1), a licensee shall keep any accounts, note of a contract for a loan or other document referred to in that subsection, which has been specified or described by the Registrar in relation to a specific transaction or borrower or as belonging to a class of documents, for such longer time as may be required in connection with an investigation into an offence under this Act. a statement showing his cash and loan position for that quarter. (4) Every licensee shall, when so required by the Registrar, account for or explain any item or particulars appearing in any statement submitted to the Registrar under subsection (3). (5) Any licensee who contravenes subsection (1) or (2) shall be guilty of an offence and shall be liable on conviction to a fine not exceeding $30,000 or to imprisonment for a term not exceeding 12 months or to both. which is false or misleading in a material particular shall be guilty of an offence and shall be liable on conviction to a fine not exceeding $30,000 or to imprisonment for a term not exceeding 12 months or to both. (8) Where a licensee submits a statement after the time for submission prescribed under subsection (3), the Registrar may impose a late submission fee not exceeding $100 for every day or part thereof that the submission is late, subject to a maximum of $2,000. seize and remove from the premises any book, record or other document, or any machine or equipment containing any book, record or other document. (1A) The Registrar or an authorised officer may be assisted by any other person or persons when exercising the powers under subsection (1)(a), (b), (c) or (d). shall be guilty of an offence and shall be liable on conviction to a fine not exceeding $20,000 or to imprisonment for a term not exceeding 6 months or to both. (3) Any person who obstructs or prevents the Registrar or an authorised officer from exercising his powers under subsection (1) in any manner other than as described in subsection (2) shall be guilty of an offence and shall be liable on conviction to a fine not exceeding $30,000 or to imprisonment for a term not exceeding 12 months or to both. shall be guilty of an offence and shall be liable on conviction to a fine not exceeding $30,000 or to imprisonment for a term not exceeding 12 months or to both. to produce or furnish, as specified in the notice, any document or a certified copy of any document relating to that person, spouse, son or daughter which is in the possession or under the control of the Comptroller. (2) The Comptroller to whom a notice is sent by the Public Prosecutor under subsection (1) shall, notwithstanding the provisions of any written law or any oath of secrecy to the contrary, be legally bound to comply with the terms of that notice within such time as may be specified therein. (3) In this section, “Comptroller” means the Comptroller of Income Tax, or any Deputy Comptroller or Assistant Comptroller of Income Tax appointed under section 3(1) of the Income Tax Act (Cap. 134). 26.—(1) The Registrar may issue directions, either of a general or specific nature, to any licensee or exempt moneylender for or in respect of every purpose which the Registrar considers necessary for carrying out the provisions of this Act. set out the manner in which any licensee or exempt moneylender shall conduct the business of moneylending. (3) Any licensee or exempt moneylender who fails or refuses to comply with any direction issued under subsection (1) shall be guilty of an offence and shall be liable on conviction to a fine not exceeding $20,000. (4) For the avoidance of doubt, any written direction issued under subsection (1) shall be deemed not to be subsidiary legislation. fraudulently induces or attempts to induce any person to borrow money or to agree to the terms on which money is or is to be borrowed, he shall be guilty of an offence and shall be liable on conviction to a fine not exceeding $40,000 or to imprisonment for a term not exceeding 2 years or to both. Harassing borrower, besetting his residence, etc. in the case of a second or subsequent offence, shall on conviction be punished with imprisonment for a term of not less than 2 years and not more than 9 years and shall also be liable to a fine of not less than $6,000 and not more than $60,000. with not less than 9 and not more than 18 strokes if it is proved to the satisfaction of the court that, in the course of committing the offence, hurt was caused to another person and damage was caused to any property. whether from a place in Singapore or outside Singapore, to any person or place in Singapore shall be taken to have committed an act referred to in that paragraph. (3B) For the purposes of paragraph (b) of subsection (1), a person who makes any telephone call, or by any means sends any article, message, word, sign, image or representation, whether from a place in Singapore or outside Singapore, to any person or place in Singapore, which is likely to cause alarm or annoyance to a person referred to in that paragraph, shall be taken to have committed an act referred to in that paragraph. (4) For the purposes of subsection (2), any person who does any of the acts specified in subsection (1) in connection with a demand for the repayment of a loan to an unlicensed moneylender shall be presumed, until the contrary is proved, to act on behalf of such unlicensed moneylender. doing any other act of mischief which causes a change in any property or which diminishes its value or utility. he provides or arranges transport to a person for the purpose of his acting as a lookout for a person carrying out any such act, and he knows and has reasonable cause to believe that the act is in connection with such a demand. the person referred to in paragraph (b) shall be taken to have abetted the commission of an offence under section 28(1) or an offence under subsection (1)(a) (as the case may be) by the person giving the instruction. (3) For the avoidance of doubt, this section is without prejudice to the generality of the term “abetment” under the Penal Code. in any other case, shall be liable on conviction to a fine not exceeding $30,000 or to imprisonment for a term not exceeding 12 months or to both. a person who is convicted of an offence under subsection (1) for causing or procuring any person below the age of 16 years to commit an offence under section 28 shall, if the offence under section 28 is thereby committed, also be liable to be punished with caning with not more than 12 strokes. the unlicensed moneylender or a person acting on his behalf uses the contact information for the purpose of committing an offence under section 28(1) or (2) against any other person. (2) Any person who is guilty of an offence under subsection (1) shall be liable on conviction to imprisonment for a term not exceeding 12 months. (3) In subsection (1), “contact information” means a residential address, business address, telephone number, facsimile number or any other information given to enable an unlicensed moneylender to contact a borrower. 29.—(1) When any fine is imposed on an agent who is or has been licensed to carry on a business of moneylending in Singapore on behalf of a principal not resident in Singapore in respect of an offence under this Act committed by the agent in the course of carrying on the business, the fine shall, unless the court imposing the fine otherwise directs, be recoverable out of the property belonging to the principal or the agent, or to both, and situated within Singapore. (2) Any property of the principal referred to in subsection (1) may be taken in execution and sold under any warrant issued against the agent for the levy of the amount of the fine. authorise the service out of the jurisdiction of any summons or other process applying for the re-opening of the transaction under section 23. 30. Any police officer not below the rank of sergeant who is authorised in writing by the Registrar, or by a police officer not below the rank of Assistant Superintendent of Police, may at all times enter the premises of any licensee, or any person who is suspected of carrying on the business of moneylending, to inspect or seize any book, record or other document relating to any moneylending transaction without a warrant being issued by a Magistrate for that purpose. 30A.—(1) The Public Prosecutor may, if he considers that any evidence of the commission of an offence under section 14 or 28, whenever committed, or a conspiracy to commit, an attempt to commit, or an abetment of such an offence, by a person is likely to be found in any document containing customer information relating to that person, to the spouse, son or daughter of that person, or to a person reasonably believed by the Public Prosecutor to be a trustee or an agent for that person, by order authorise any police officer of or above the rank of assistant superintendent so named to inspect any document of a bank specified in the order. (2) The police officer so authorised may, at all reasonable times, enter the bank specified in the order and inspect the documents kept therein and may take copies of any relevant entry in any such document. (3) The Public Prosecutor may delegate his power under this section to a Deputy Public Prosecutor or the Commissioner of Police, except the power of delegation conferred by this subsection. (4) In this section, “customer information” has the meaning given to that expression in section 40A of the Banking Act (Cap. 19). 31. Every offence under section 14 or 28 shall be deemed to be a seizable and non-bailable offence within the meaning of the Criminal Procedure Code (Cap. 68). 32.—(1) Notwithstanding any provision to the contrary in the Criminal Procedure Code (Cap. 68), a District Court shall have jurisdiction to try any offence under this Act and shall have power to impose the full penalty or punishment in respect of the offence. (2) Where any act constituting an offence, or part of an offence, under section 14 or 28 is committed outside Singapore by a person, he may be dealt with in respect of that offence as if the act had been committed within Singapore. 32A.—(1) Whenever 2 or more persons are charged with an offence under section 14 or 28, whenever committed, or with a conspiracy to commit, or an attempt to commit, or an abetment of such an offence, the court may require one or more of them to give evidence as a witness or witnesses for the prosecution. (2) Any such person who refuses to be sworn or to answer any lawful question shall be dealt with in the same manner as witnesses so refusing may by law be dealt with by a Magistrate’s Court or District Court, as the case may be. (3) Every person so required to give evidence, who in the opinion of the court makes true and full discovery of all things as to which he is lawfully examined, shall be entitled to receive a certificate of indemnity under the hand of the Magistrate or District Judge, as the case may be, stating that he has made a true and full discovery of all things as to which he was examined, and that certificate shall be a bar to all legal proceedings against him in respect of all those things. (3) The Minister may make rules to prescribe the offences which may be compounded under this section and the conditions subject to which, and the manner in which, such offences may be compounded. 35.—(1) The Minister may, upon the application of any person and the payment of such fees as may be prescribed, issue a certificate to exempt, with or without conditions, any person from all or any of the provisions of this Act. need not be published in the Gazette. (3) Any person who desires to apply for or extend an exemption shall submit an application to the Registrar in such form and manner, and shall furnish the Registrar with such information, as the Registrar may require. pay such fee as may be prescribed for the making of the application. (5) The Minister may prescribe different fees in respect of different classes or descriptions of persons for the purposes of this section. (6) An application for the extension of an exemption shall be made not later than one month before the expiry of the exemption. (7) Any moneylender who makes an application for the extension of an exemption after the time limited under subsection (6) shall pay a late extension fee not exceeding $50 for every day or part thereof that the application for extension is late, subject to a maximum of $1,500. (8) The Minister may at any time revoke, whether wholly or in part, any exemption granted to a person under subsection (1) by giving the person a notice of revocation in writing. if he is satisfied that it is in the public interest to do so. (10) Any revocation, whether wholly or in part, of an exemption or a condition of exemption under this section, and any amendment of a condition of exemption under this section, shall not affect any moneylending transaction entered into before the date of the revocation or amendment, as the case may be. 36.—(1) The Minister may make rules to exempt any class of persons from any, but not all, of the provisions of this Act, subject to such terms or conditions as may be prescribed. (2) Any revocation, whether wholly or in part, of an exemption or a condition of exemption under this section, and any amendment of a condition of exemption under this section, shall not affect any moneylending transaction entered into before the date of the revocation or amendment, as the case may be. 37.—(1) The Minister may make rules for carrying out the purposes and provisions of this Act. to prescribe all matters and things which by this Act are required or permitted to be prescribed or which are necessary or expedient to be prescribed to give effect to this Act. make different provisions for different classes or descriptions of moneylenders. in any other case, for penalties not exceeding a fine of $50,000 for each offence. every pending application for any licence, exemption, consent or approval under the repealed Moneylenders Act shall be deemed to be an application therefor under this Act, except that the fees payable for such an application or for the grant of the licence, exemption, consent or approval sought shall be those prescribed under the repealed Moneylenders Act. the Registrar may, in his discretion, refund such amount of the fees paid by the person in respect of such exemption as is proportionate to the period (being a period of not less than 6 months) for which, but for such person becoming an excluded moneylender, the exemption would continue to subsist. (3) Any notice, order, decision, direction, requisition or approval made or granted by the Registrar or the Minister under the repealed Moneylenders Act in force immediately before 1st March 2009 shall continue and be deemed to have been made or granted by the Registrar or the Minister, respectively, under this Act and shall have effect accordingly. (4) All acts done by or on behalf of the Registrar or the Minister under the repealed Moneylenders Act before 1st March 2009 shall continue to remain valid and have effect as though done by or on behalf of the Registrar or the Minister, respectively, under this Act until such time as such acts are invalidated, revoked, cancelled or otherwise determined by the Registrar or the Minister, as the case may be. (5) Subject to subsection (1)(c), where anything has been commenced by or on behalf of the Registrar or the Minister before 1st March 2009, such thing may be carried on and completed by or on behalf of the Registrar or the Minister, respectively, under the authority of this Act. (6) Any subsidiary legislation made under the repealed Moneylenders Act (Cap. 188, 1985 Ed.) and in force immediately before 1st March 2009 shall, so far as it is not inconsistent with the provisions of this Act, continue in force as if made under this Act until it is revoked. (7) Any written law or document referring to the repealed Moneylenders Act or any provision thereof shall, as far as may be necessary for preserving its effect, be construed as referring or as including a reference to this Act or the corresponding provision in this Act, as the case may be. a person who was registered under the Business Registration Act (Cap. 32) at least 2 years before the grant of the loan. particulars of all outstanding loans previously made by the applicant, or by any company, partnership or limited liability partnership of which he is or was a substantial shareholder, director, partner or manager (as the case may be). (2A) Without prejudice to the generality of paragraph (1), the Registrar may require the applicant or any person who is or will be managing the business of the applicant to take and pass a written test on his knowledge and understanding of the provisions of the Act and the rules made under the Act. (4) Without prejudice to the generality of paragraph (3), the Registrar may require the applicant or licensee to produce particulars of the place and evidence of his ownership or occupation of the place. 3.—(1) A security deposit placed with the Accountant-General under section 5(5)(c), 6(4)(c) or 10(3)(c) of the Act for any place of business shall, unless the Registrar has given notice under section 11(2) of the Act of his intention to forfeit the deposit or any part of it, be returned to the licensee on the cessation of the licensee’s business of moneylending at the place. (2) Where, after having given the notice referred to in paragraph (1), the Registrar does not forfeit the deposit or forfeits a part of it, he shall return the deposit or the part of the deposit (as the case may be) which is not forfeited to the licensee. (2) The licence fee for the issue or renewal of a licence under section 8(1) of the Act shall be $1,320 for every period of 12 months of the licence or part thereof. (3) The licence fee for each additional place of business of a licensee under section 8(3) of the Act shall be $1,320 for every period of 12 months or part thereof remaining of the period of the licence from the date of approval of that place of business for moneylending under section 10 of the Act. (5) If the Registrar requires an applicant for the issue or renewal of a licence or a person who is or will be managing the applicant’s business to take a test under rule 2(2A), then the applicant shall pay to the Registrar a non-refundable registration fee of $130 (inclusive of goods and services tax) for every person required to take the test. 6.—(1) An applicant for the issue of a licence who intends to conduct his business of moneylending at 2 or more places of business shall, when applying to the Registrar under section 10 of the Act for approval of such places of business for moneylending, notify the Registrar in writing which of those places will be his principal place of business. (2) A licensee who intends to conduct his business of moneylending at any place of business in addition to any place or places of business already approved under section 10 of the Act shall, when applying to the Registrar under that section for approval of such additional place of business for moneylending, notify the Registrar in writing which of those places will be his principal place of business. (3) A licensee who intends to change his principal place of business for the conduct of his business of moneylending shall notify the Registrar in writing of this before carrying out such change. (4) For the purposes of the Act and these Rules, all notices, letters and other correspondence from the Registrar to a licensee may be sent by ordinary or registered mail to his principal place of business as last notified by the licensee under this rule. if the appointed individual referred to in sub-paragraph (c) ceases to manage the licensee’s business of moneylending. (2) An application under paragraph (1) shall be made in writing no later than 7 days before the change is due to take effect, and the licensee shall surrender his existing licence to the Registrar at the time of application. (3) A licensee may apply to the Registrar for a replacement licence on the ground that his licence has been lost or destroyed, and the Registrar may issue a replacement licence to the licensee if he is satisfied that the licence has been lost or destroyed. (4) An application under paragraph (3) shall be accompanied by a fee of $50 and such information or documents as the Registrar may require. the total number of instalments and the total amount the borrower will pay over the entire term of the loan if he does not default on any payment. the particulars referred to in sub-paragraph (a) of the surety. (2) The licensee shall require the borrower to provide reliable and independent documentary evidence in support of all information provided in the loan application form, and verify the information against such evidence. (3) The licensee shall extend a copy of the duly completed loan application form to the borrower, and another copy thereof to his surety (if any), at the time the loan is granted. in any other case, to a fine not exceeding $20,000. the provisions of the Moneylenders (Prevention of Money Laundering and Financing of Terrorism) Rules 2009 (G.N. No. S 73/2009). 10. The note of a contract for a loan referred to in section 20(1)(a) of the Act shall be in Form 1 in the Schedule or a form which includes all the terms and particulars in that Form, whether worded in the same way or differently but to the same effect. 10A. Every contract for a loan must provide for the payment of equal instalments at equal intervals of time. 11.—(1) The maximum rate of interest referred to in section 23(6) of the Act is the nominal interest rate of 4% per month. (2) The interest charged on the loan is to be computed based on the monthly outstanding balance of principal remaining after deducting from the original principal the total payments made by or on behalf of the borrower which are appropriated to principal. (3) The maximum rate of late interest referred to in section 23(6) of the Act is the nominal interest rate of 4% per month. (4) The late interest is to be computed based on the monthly outstanding balance of the amount of principal or interest or both that is overdue. (5) To avoid doubt, late interest is charged only on an amount that has fallen due and is not paid. legal costs incurred for the recovery of the loan, as may be ordered by a court to be paid to the licensee. 12A. Despite rules 11 and 12, the licensee must not recover from a borrower, on account of interest, late interest or any fee permitted under rule 12(1)(a) or (b), an aggregate amount exceeding the principal of the loan. 12B. Rules 11(1) and (3) and 12A do not apply to a business loan granted by a licensee. the total principal, interest (including late interest) and permitted fees (if any) due and outstanding as at the end of that half-year period. whether such loan is made or fully repaid, or such contract is terminated, before, on or after 1st March 2009, as the case may be. (3) The licensee shall keep or cause to be kept all accounts and documents referred to in section 24(1) of the Act and in paragraph (2) in English. (4) The licensee shall keep or cause to be kept the entries in the accounts and documents referred to in paragraph (2)(a), (b) and (c) in a chronological order. (5) The accounts and documents referred to in paragraph (2) may be kept in an electronic form. 15.—(1) The cash account book referred to in rule 14(2)(b) shall be in Form 2 in the Schedule. (3) The accounts of a licensee in the cash account book shall be balanced on a daily basis, and the accounts for each day shall be so balanced no later than 14 days from the end of the month in which that day falls. 16.—(1) The loan account book referred to in rule 14(2)(c) shall be in Form 3 of the Schedule. when a loan is renewed, an entry shall be made to that effect in the book, the account for the loan before its renewal shall be closed and the balance transferred to the account of the renewed loan. the account number or numbers of the loan or loans. (2) The licensee shall enter or cause to be entered in the list of borrowers the names of the borrowers in an alphabetical order according to their surnames. “unsecured loan” means any loan given without security or, in respect of any loan given with security, any part thereof which exceeds the market value of the assets constituting the security at the time of the application for the loan. a Singapore borrower’s share of the outstanding amount of a loan granted jointly to him and one or more other persons is the amount derived by dividing the outstanding balance of the loan by the number of persons from whom the loan is outstanding. (3) In this Part, a reference to a loan granted by an affiliated corporation of a moneylender means, in the case of an affiliated corporation referred to in paragraph (b) of the definition of “affiliated corporation”, a loan granted using the branch or office of the affiliated corporation in Singapore. exceeds $3,000 unless, at the time of the grant of the loan, the annual income of the Singapore borrower is at least $20,000, or his total net personal assets exceeds $2 million. in a case where the annual income of the Singapore borrower is at least $20,000 but less than $30,000, 2 months’ income of the borrower. his share of the outstanding amount of every unsecured loan previously granted by the moneylender (including, if it is a corporation, its affiliated corporation) jointly to the Singapore borrower and one or more other persons. (3) In determining whether the outstanding unsecured loan amount of a Singapore borrower exceeds the amount of income referred to in paragraph (1)(a) or (b), any interest (including late interest) and fees (including late payment fees) imposed by the moneylender or its affiliated corporation shall be disregarded. (5) This rule does not apply if the Singapore borrower has an annual income of at least $120,000 or he has total net personal assets which exceed $2 million. acquires the business of another moneylender which has granted a loan to the Singapore borrower or to 2 or more persons one of whom is the Singapore borrower. shall take such steps within such period as may be specified by the Minister by notice in writing to it to ensure that the outstanding unsecured loan amount of the Singapore borrower ceases to be in excess of that amount. his share of the outstanding amount of every unsecured loan previously granted by the other moneylender referred to in paragraph (1) (including, if it is a corporation, its affiliated corporation) jointly to the Singapore borrower and one or more other persons. (4) In determining whether the outstanding unsecured loan amount of the Singapore borrower exceeds the amount referred to in regulation 20(1)(a) or (b), any interest (including late interest) and fees (including late payment fee) imposed by the moneylender or its affiliated corporation shall be disregarded. (6) This rule does not apply if the Singapore borrower has an annual income of at least $120,000 or he has total net personal assets which exceed $2 million. 23. Every certificate of exemption granted by the Minister under section 35(1) of the Act shall be in such form as may be approved by the Minister. a fee of $4,000 for every one year of the period of exemption or extension (or part thereof) where the person exempted intends to grant loans referred to in paragraphs (a) and (b). 25. There shall be charged a fee of $25 for every application to the Registrar for information as to whether a person is or was licensed or exempted under the Act, the period of a licence or exemption, and the conditions of an exemption. 26. The Moneylenders Rules (R 1) are revoked.